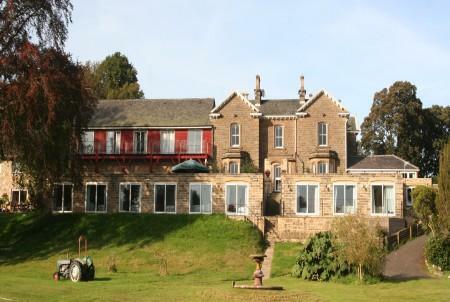 Riverdale Hall is Northumberland's premier country house hotel, providing extensive sporting and leisure facilities. With an award winning restaurant, swimming pool, sauna, cricket field and salmon river in its own delightful grounds. Riverdale Hall is Northumberland’s premier country house hotel, providing extensive sporting and leisure facilities. Our Les Routiers Gold Plate award-winning restaurant, and team of chefs, headed by Iben Cocker, Stuart Naylors and Tony Johnston, have established for themselves an enviable reputation for the standard of their cuisine. The menu changes daily and uses seasonal and local produce of the finest quality. Riverdale Hall is ideally suited for all leisure activities from relaxing by the pool with a book, to fishing, walking, cycling and golf amongst other sporting activities. For those who enjoy nothing better than a summer's afternoon watching cricket or checking on the catches of the anglers, both can be done from within our grounds. Whether you are looking for a short break, holiday, self-catering accommodation, wedding venue or conference facilities you can be sure of a warm welcome at Riverdale Hall.